From all of us at Extra Mile Powerwashing, we wish every mom a Happy Mother’s Day! We know how important moms are to every household and we want to take time to celebrate each and every mother on their special day. The hard work they put in to build homes should never be taken for granted. If you don’t know what to get your mom on Mother’s Day (a pressure washing of her home should always be considered), at least take time to tell her how special she is and how much she means to you. In 1914, Woodrow Wilson signed a proclamation designating Mother’s Day, held on the second Sunday in May, as a national holiday to honor mothers. Jarvis’ holiday was adopted by other countries, and it is now celebrated all over the world. If you would like to help your mom clean up the outside of her house, you can schedule a free estimate for her with us at Extra Mile Powerwashing today. Our professional technicians are the power washing experts in the Martinsburg, WV and Inwood, WV areas. We use our softwash technique — low water pressure combined with gentle, environmentally-friendly detergents — to clean gutters, siding, roofs, sidewalks, fences and just about every type of surface found at homes and businesses in the region. 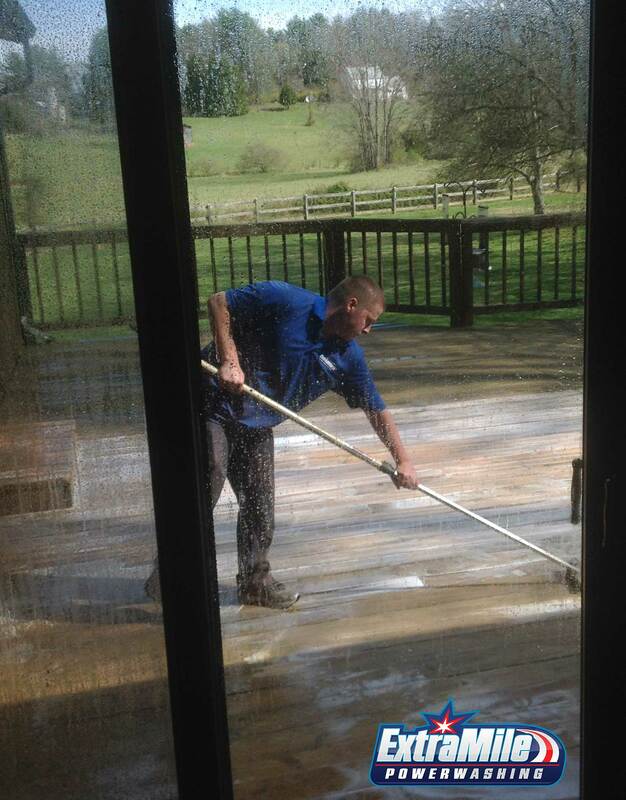 To schedule a power washing estimate, call our office at 304-904-0500 or contact us here. Again, we hope all the moms in the Eastern West Virginia Panhandle have a great Mother’s Day and an even better rest of the year in 2018!